Reindeer lichen (Cladonia rangiferina), sometimes referred to as deer moss, is actually a combination of a fungus and an alga that share a symbiotic relationship. 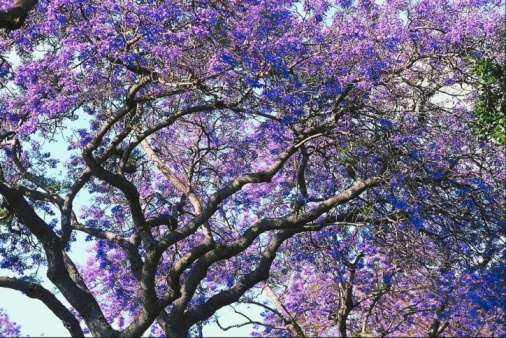 It has no roots and receives moisture from rain, morning dew and humid air. Reindeer lichen grows to a height of 1 to 4 inches. It has a fine and airy texture and an ovoid shape. 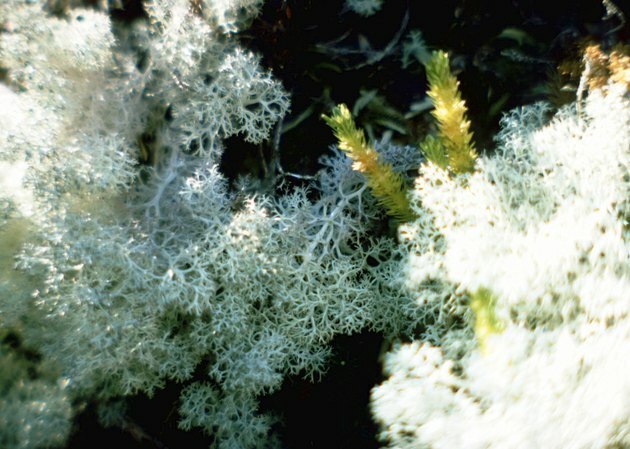 Species of reindeer lichen can be found in tundra forests in the arctic, where it is a staple in the diet of reindeer, and also in Florida and Texas. It is well suited for growing in a container indoors. Reindeer lichen can be grown indoors in a terrarium. Choose a container made from clear glass or plastic. Containers specifically designed for use as terrariums are available at garden centers and pet stores. Other containers, such as a fish bowl, glass jar or bottle, will also work. A container with a wide opening will be the easiest to plant. Cover the bottom of the container with 1 to 2 inches of gravel to provide drainage. Smooth the gravel with the palm of your hand to level it. Add a 2 to 4 inch layer of growing medium high in organic matter. Ideally, it will consist of 1 part loam, 1 part sand and 2 parts humus. You can mix your own medium or purchase a pre-packaged commercial medium at a garden center. Place a few twigs and small rocks in the terrarium to provide visual interest. Arrange the reindeer lichen in the container with the twigs and rocks. Move the elements around until you find an arrangement that is pleasing to you. Use chopsticks to gently push the lichen into the growing medium to secure it in place. Spritz the lichen lightly with water. Wipe the inside of the glass with a tissue or soft cloth to clear away condensation. Seal the container with a tight fitting lid or plastic wrap and place it in a well lit location that is not in direct sunlight. A room temperature of 70 degrees Fahrenheit is ideal for a properly-functioning terrarium. 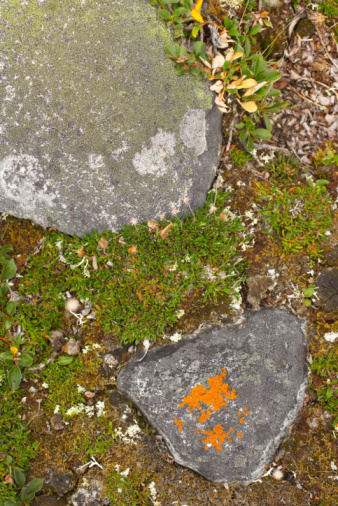 Spray the reindeer lichen with water to keep the soil moist. Apply water when the soil surface becomes dry. According to the University of Florida, reindeer moss becomes dry and brittle if it does not receive enough moisture.